WASHINGTON, Feb. 13, 2013 /PRNewswire-USNewswire/ — The US Committee for Camp Ashraf Residents (USCCAR), on behalf of hundreds of Iranian-Americans whose loved ones in Iraq’s Camp Liberty were the target of the Tehran-engineered rocket attack last weekend, has written to the US Secretary of State John Kerry to urge him to facilitate the immediate return of Camp Liberty residents to Camp Ashraf where they are far better protected against such attacks. Saturday’s cowardly attack, which left seven residents killed and more than 100 seriously wounded, attests to the fact that this camp is neither safe nor secure for the residents whom the UN Refugee Agency has recognized as asylum seekers. 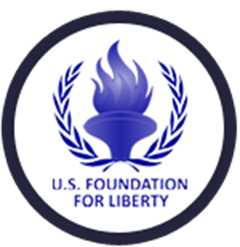 “We, the families of Iranian dissidents in Camp Liberty and Camp Ashraf, hold the United States responsible for safety and security of our loved ones in accordance with its treaty and international obligations as well as its written guarantees to each and every resident in 2004 that it will protect them until their final disposition,” the letter added. Some 3,100 members of Iran’s principal opposition movement, the Mujahedin-e Khalq (PMOI/MEK) have been living at Camp Liberty, a former U.S. military base near Baghdad international airport after they left Camp Ashraf, their home for 26 years, following US and UN assurances about their safety and security. About one-third of the residents are women and an equal number are former political prisoners in Iran.